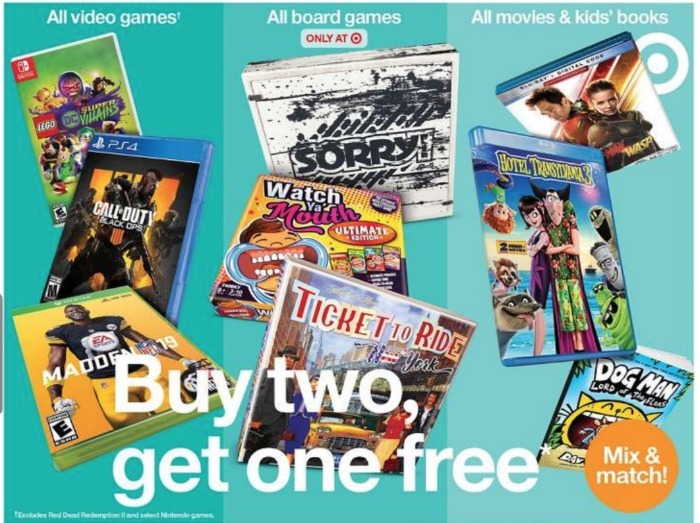 Head over to Target and get all Board Games, Kids Movies, Kids Books and Video Games on sale Buy 2 Get 1 Free! You can make your own deal, mixing and matching items. The cheapest item will be the free item. Plus Target REDCard holders get another 5% off. Note: The sale does exclude Red Dead Redemption 2 and select Nintendo games.